No other volume provides as broad, as thorough, or as accessible an introduction to the realm of computers as A. K. Dewdney's The Turing Omnibus. 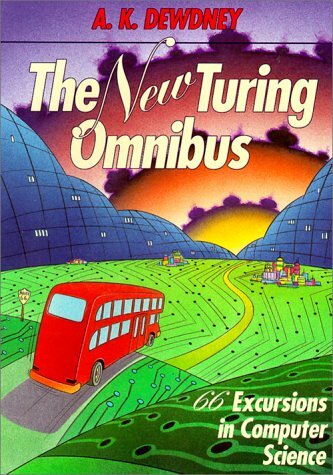 Updated and expanded, The Turing Omnibus offers 66 concise, brilliantly written articles on the major points of interest in computer science theory, technology, and applications. New for this tour: updated information on algorithms, detecting primes, noncomputable functions, and self-replicating computers--plus completely new sections on the Mandelbrot set, genetic algorithms, the Newton-Raphson Method, neural networks that learn, DOS systems for personal computers, and computer viruses.